Wondering exactly how giving benefits the giver? So if you’re like me, you are looking for ways to improve the happiness, stability, and financial success of your family. Sometimes the thought of giving either doesn’t enter our minds or we feel emotionally and financially drained and don’t think we have anything to give? Maybe we’re just surviving. But we know there’s more to life than just the daily grind and tucking the kids into bed at night and falling asleep on the couch with your spouse while watching TV. Maybe we’re barely treading water and are 1 bad day away from serious trouble. In these moments, the idea of giving to others when we feel we have nothing left to give might seem counter-intuitive. But, believe it or not, you can refill your own cup in service to others. No matter what our situation, it isn’t that hard to find someone who’s situation is worse. When we help someone, even if it’s a small gesture, life has a way of rewarding us. When we give selflessly; be it to a less fortunate person, volunteering, donating time or money or goods, or otherwise giving of yourself with no thought of receiving something in return, life rewards us in kind. 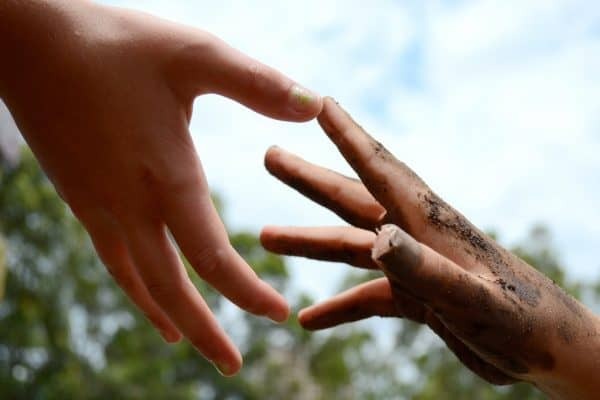 In this post, we’re exploring the concept of giving. We’ll look at why it’s important and how to do it when we feel drained. Most importantly, though, we’ll explore the proven ways that giving benefits the giver. After all, if you can help yourself while helping someone less fortunate, it’s that what life’s all about? Why do some succeed in life and others fail? You probably have a few friends who always seem to be living large. These are the folks who always seem happy, successful and living life right; perpetually in the “glass is half full” stage. Then you have a few friends that we’ll call in the Eeyore boat (as in Winnie the Pooh). These are the folks for whom nothing can ever seem to go right, they are always going from one crisis/job/relationship to another and they are always in that “glass is half empty” stage. These Toxic Negative People damage themselves and those around them. Most likely, though, the rest of your friends (probably the majority) are somewhere in between, right where you feel your family is. The difference, in my observation and experience, is that life’s rewards are in direct proportion to giving. In other words, when you give more (without expectation) you naturally begin to get more. Call it karma, God, the Golden Rule or whatever you want. Call it physics if you like (that whole equal and opposite reaction thing), but in my experience, giving benefits the giver. Sure we can all think of exceptions, and the image of the greedy, selfish & evil rich person abounds in our media, but I think in most cases we reap what we sow. So if you’re struggling, the way many of us have and do, rather than desperately search for what you can “get”, ask yourself what can you give? 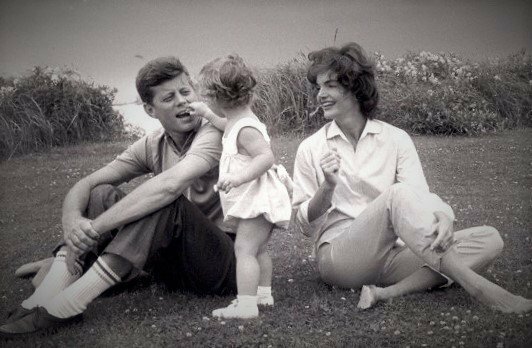 Kennedy was on to something when he famously said: “ask not what your country can do for you, ask what you can do for your country”. Of course, he was talking about government and all of us doing our part to support our country and giving more than we take, but I think it applies perfectly to almost any walk of life. The Freedom Journal is the Best Daily Planner to Accomplish Your #1 Goal in 100 Days! One of my most-favorite podcast hosts is John Lee Dumas of the podcast EOFire. 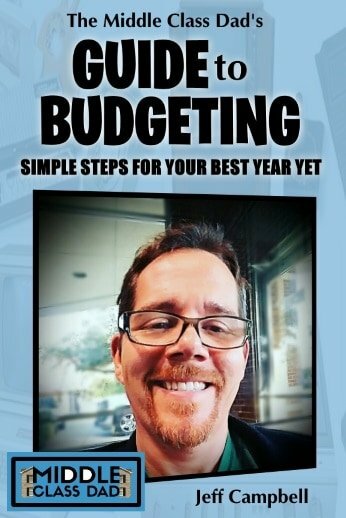 He has created an amazing & scientific approach to knocking your goals out of the park! 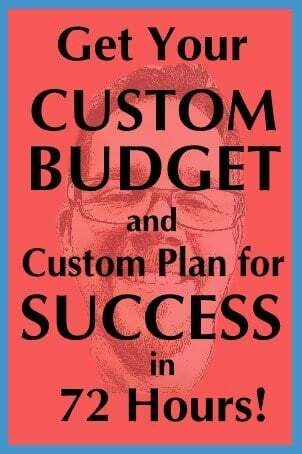 It’s called the Freedom Journal and on Amazon Prime it has 4.5 stars, hundreds of reviews and is an Amazon Choice product. Check it out today and see if it can’t help you with your goals! For many of us, the giving may not be money (or at least not a lot of it). But it could be time. Up until my girls hit 5th grade, I volunteered about 2 hours/week at their school in the mornings before work. I also served on the PTA and did the job of treasurer one year. It’s not only a great opportunity to get to see my kids a little extra but it’s also a chance to make a difference in the lives of other kids. Some of those other kids may not have a Dad in the picture and the little connection with me might be the closest thing they get. It’s a way to support my kid’s teachers who are over-worked and underpaid and who still do an amazing job day in and day out. It is also a chance for my kids to see their Dad helping their friends and an opportunity for them to be proud of their Dad. I’ve also worked a lot in the kid’s room at church as well. My family doesn’t have a lot of excess income, and I don’t even really have a lot of extra time in my week, but I believe these things are important. But I love being able to give back to other kids, my girl’s schools and teachers. In this case, giving benefits the giver in a deeply fulfilling way. I believe giving selflessly to others makes a difference! For others, it could be the use of a skill; building a house over a weekend for Habitat for Humanity or building a website for a local non-profit. It could be watching your neighbor’s kids for free so your neighbors can have a much-needed date night. Who knows? That one small act might save their marriage! There’s something out of balance in their lives. There may be other issues at play too (diet, addiction, childhood trauma, medical, mental). But the one thing that I’m almost sure of is that they are focused inward on themselves and not focused (at least not enough) on giving to others. I’m not calling them selfish per say, as I know in our busy lives it’s all too easy to just get focused on ourselves and our own family and not even think about helping others. But when we focus solely on ourselves or only give to others with the expectation of getting something in return, that often leads us down a negative path. My overall point is that if you don’t feel you’re getting what you want out of life, don’t focus on getting; focus on giving! When we do that, we quickly see exactly how giving benefits the giver. It’s also important to understand the Benefits of Being Appreciative. So put aside the judgments and expectations and just appreciate what you have and those around you and watch your attitude and happiness improve immeasurably. That’s the good news; We can all make a change tomorrow. Any of us can reevaluate how we choose to live life and make a different choice any time we want to. My wife and I had this discussion last night. She told me (after 10 years of marriage) that she finally understood and agreed with me that life is just a series of choices and that . . .
ANY of us can choose to make different choices at ANY point in our lives. She went on to say that she used to get really irritated with me when I would say that, but now she gets it. If you know me at all, I tend to say the same things over and over (sometimes in a Darth Vader voice); so I’m nothing if not predictable. LIFE IS JUST A SERIES OF CHOICES AND YOU CAN CHOOSE TO MAKE DIFFERENT CHOICES AT ANY TIME! That’s not to say it’s easy. There aren’t plenty of folks out there who won’t make different choices. But, but just because someone WON’T make a different choice, doesn’t mean they CAN’T. The choice is always ours. And by that I mean, sometimes making a different choice for the long-term benefit isn’t always easy at first. Sometimes it’s hard or doesn’t feel natural or makes us feel uncomfortable. For most of us, change isn’t something we naturally come to terms with quickly. Add to that the idea that habits often take weeks to form or break. Sometimes we have to just do something that is hard or uncomfortable for a couple of weeks (or longer) until it becomes a natural part of who we are and what we do. An example of that is that in 2016 I made the choice to start drinking more water. I probably used to drink about a quart and a half a day, and my new goal is a gallon a day. For me, that’s a lot of water (and a lot of trips to the bathroom), but I felt it was important for long-term health, fighting off disease, healthy weight control and a host of other reasons. You can read more about the natural thirst challenge from the mouth of the always engaging Alex Charfen. But I can tell you that getting used to drinking that much water was hard. I had to spread it out throughout the day, remembering to drink it. Sometimes I drank it when I didn’t feel thirsty. It was a challenge. But now, a month or 2 into it, I’m used to it. It’s become a habit now and it’s much easier for me to stick to my plan. But learning how giving benefits the giver and drinking enough water are just 2 of the ultimate ways to Improve your Life. Check out all 11 ways in one of my most shared posts. Historically, charitable giving rises about one-third as fast as the stock market. They also found that approximately 91% of high net worth households give to charity. So what are my . . . According to a study conducted by Psychology Professor Dr. Elizabeth Dunn of the University of British Columbia, studies revealed personal spending had no connection to a person’s happiness while giving and donating time or money was highly related to a boost in happiness. Thus, one of the best ways that giving benefits the giver is in your own happiness, health, and overall well-being. When you give time, money, blood, etc you are often with those who you are donating to. For example, our former church (we moved) does a burger grill-out for the homeless a few times a year. We literally go to where they hang out and grill burgers and hand them to them). In that process, you are often with others who are also donating their time. “Giving inspires the giver, the receiver and observers to all be more generous”. You aren’t giving in a vacuum. Perhaps that neighbor you helped by mowing their lawn while they were in the hospital, in turn, helped someone else in need. Then maybe that person helped someone else and so on. Your one kind action or donation could have a ripple effect throughout the lives of dozens of people you’ll never meet. So giving benefits the giver, but might just end up helping a lot of other people too. Almost every year, my family finds a foster child to sponsor for Christmas. We never meet the kids and we don’t know much about them other than a first name and what is on their wish list. But I’d like to think that by getting them many of the things on their list (we often spend over $100 but I think ANY amount shows you care), knowing that a complete stranger cares about them, is enough to bring hope. And when you bring hope, you erase just a tiny bit of fear and anger, despair and anguish. It’s not a solution by any means, but it does show just a tiny bit of light at the end of the tunnel and who knows what that kid will grow up to be and what great things they will do because of your small anonymous action? I alluded to this above, but there is actual science to back it up. Noted author Arthur C. Brooks found in The Social Capital Community Benchmark Survey in the year 2000 by Harvard, that for every dollar donated, on average, the giver saw an additional $4.35 in additional income come their way. I don’t think anyone should give to others solely for the purpose of getting a tax write-off. But since that benefit is available to us in the US, why not take advantage of this way giving benefits the giver? You can’t deduct your time, but you can deduct cash or goods. You just need to make sure that who you donated to is a “qualified organization”. 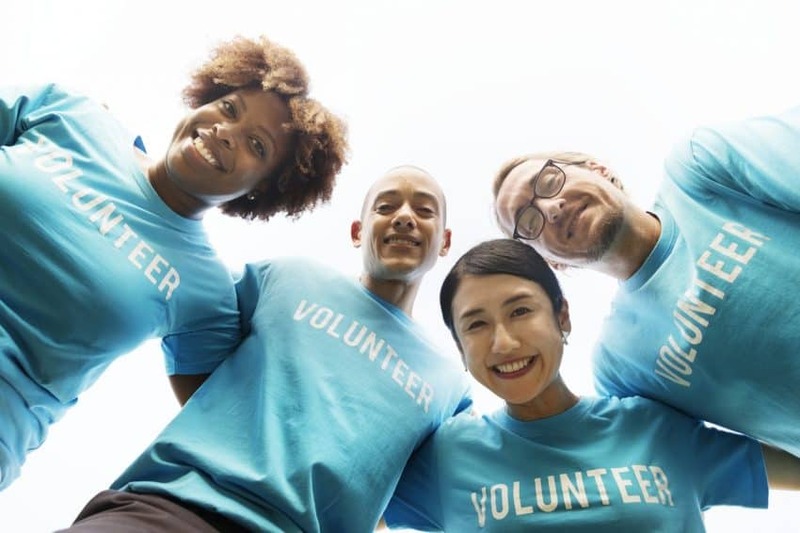 As with much of the IRS, there are a lot of rules and red tape to be aware of, so make sure and check out the IRS tips for charitable contributions. A SCIENTIFIC APPROACH TO ACCOMPLISHING YOUR #1 GOAL IN 100 DAYS! 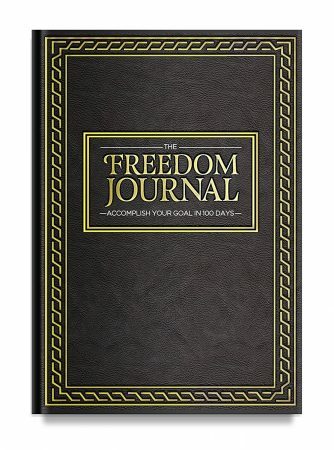 The Freedom Journal is one of Amazon’s best-selling productivity and goal-setting organizers! GUARANTEED – The Freedom Journal has guided over 16,000 individuals towards accomplishing their #1 goal in 100 days. If you start your Freedom Journal and you don’t feel the same, just return it to Amazon for a refund. Did I cover all the ways that giving benefits the giver you were looking for? In this post, I took a look at the world of giving. We looked at how it affects us emotionally and spiritually. But we also talked about the importance of helping others and how to do it when we feel like we have nothing left to give. Specifically, we talked about the exact ways that giving benefits the giver. What role does giving play in your family? Comment here about what else you struggle with and I’ll be happy to weigh in!